Do MPAA Ratings Protect Children from Tobacco Use in Movies? Countless classic movies--especially those released in the earliest decades of cinema--feature characters smoking. Casablanca would not be the same without the dreamy swirling of cigarette smoke. 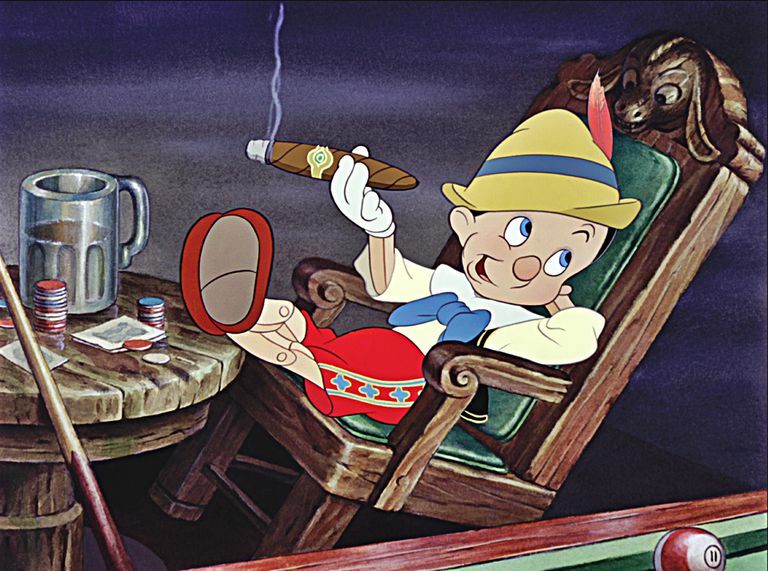 For decades smoking also appeared in films marketed to children, such as Disney's Pinocchio and Dumbo, and dozens of Warner Bros. shorts. Smoking in movies has become less popular in recent years as an increasing number of Americans choose not to smoke. According to the Centers for Disease Control and Prevention, there were 15% fewer "incidents per movie" of tobacco use in 2017 versus the movies of 2016. There are some advocates that believe any movie featuring smoking should be rated R (restricted to viewers over 17 years of age without a parent or guardian). Research shows that smoking in movies--particularly by popular actors--promotes smoking among young people. As a result, anti-smoking advocates have pushed the Motion Picture Association of America (MPAA), to take a stricter look at smoking in movies. 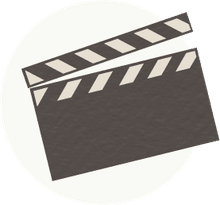 "The MPAA film rating system has existed for nearly 40 years as an educational tool for parents to assist them in making decisions about what movies are appropriate for their children. It is a system that is designed to evolve alongside modern parental concerns. I am pleased that this system continues to receive overwhelming approval from parents, and is consistently described as a valuable tool they rely upon in making movie-going decisions for their families. With that in mind, the rating board chaired by Joan Graves will now consider smoking as a factor — among many other factors, including violence, sexual situations and language — in the rating of films. Clearly, smoking is increasingly an unacceptable behavior in our society. There is broad awareness of smoking as a unique public health concern due to nicotine’s highly addictive nature, and no parent wants their child to take up the habit. The appropriate response of the rating system is to give more information to parents on this issue." 1) Is the smoking pervasive? 2) Does the film glamorize smoking? 3) Is there an historic or other mitigating context? Many anti-smoking advocates believe that the MPAA has not gone far enough with their restricted ratings. For example, the 2011 animated film Rango was rated PG by the MPAA, but it featured “at least 60 incidents of smoking” according to anti-smoking non-profit Breathe California. In 2016, a class action lawsuit was filed against the MPAA, the six major studios (Disney, Paramount, Sony, Fox, Universal, and Warner Bros.) and the National Association of Theatre Owners that claims Hollywood is not doing enough. It demands, in part, that no movie should be rated G, PG, or PG-13 if it featured characters smoking. For example, the X-Men movies--which feature the cigar-smoking Wolverine and are generally rated PG-13--would receive R ratings for depicting the fan-favorite mutant with a stogie regardless of any other content. The Lord of the Rings and The Hobbit movies--which feature characters smoking pipes, as they do in the books the films are based on--would have also received R ratings instead of PG-13 ratings. The MPAA responded to the suit by citing that the organization's ratings are protected by the First Amendment and reflect the organization’s opinion. Many see a total smoking ban as a threat to creativity and accuracy. Movies set in earlier time periods--such as Westerns or historical dramas--would be historically inaccurate if they did not depict tobacco use. In some cases, the MPAA has used the phrase “historical smoking” in its rating determinations. Others believe out that the entire rating system used by the MPAA is already unfairly skewed against substance use of any type. Comedian and filmmaker Mike Birbiglia criticized the MPAA for giving his film Don't Think Twice an R rating because adult characters smoke pot, but gave the violent comic book blockbuster Suicide Squad--which would be seen by far more children--a PG-13 rating. Others express concern that interest groups could “hijack” the ratings system and make similar demands, such as groups that support bans on sugary drinks or snacks. The only thing for sure is that the issue of smoking and movie ratings will continue to be one of the many criticisms often levied at the MPAA rating system.